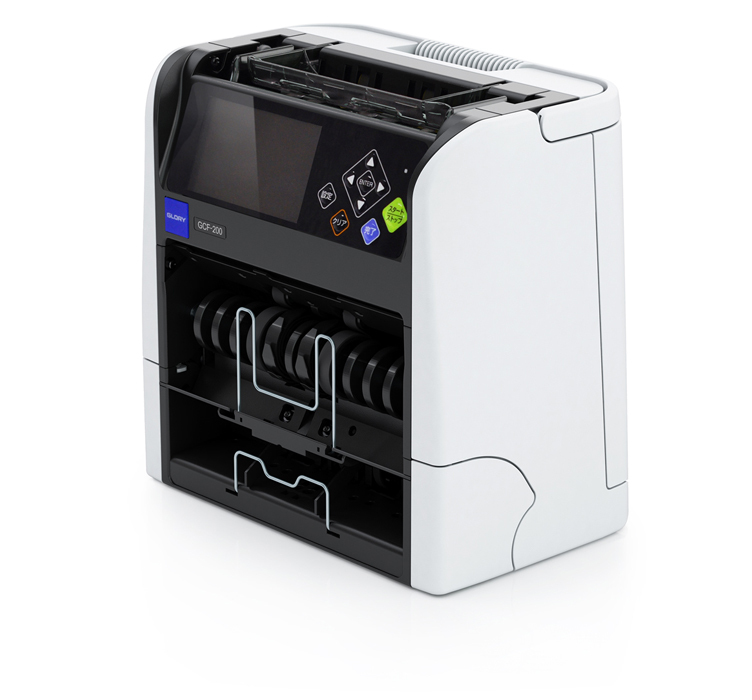 GLORY Banknote Checking Machine "GCF-200" was awarded "Special Jurors Prize" at the 45th Machine Design Award announced today. The Machine Design Award was founded by the Nikkan Kogyo Shimbun, Ltd., a Japanese Newspaper publisher, in 1970 for the purpose of promoting and developing the designing of industrial products supported by the Ministry of Economy, Trade and Industry, the Japan Chamber of Commerce and Industry and other industrial associations.Presently, the awards are given to superior products as a result of a comprehensive evaluation of economic efficiency, marketability and the total balance between external appearance, function, performance, safety, color etc. GCF-200 is a compact desktop banknote checker capable of simultaneously validating US dollar, Euro, Chinese Yuan and Korean Won, as well as reading serial numbers of these banknotes at the same time. It is currently used at foreign currency exchange windows of financial institutions and money exchangers, and will also meet the increasing demand of those visiting Japan exchanging foreign currencies.